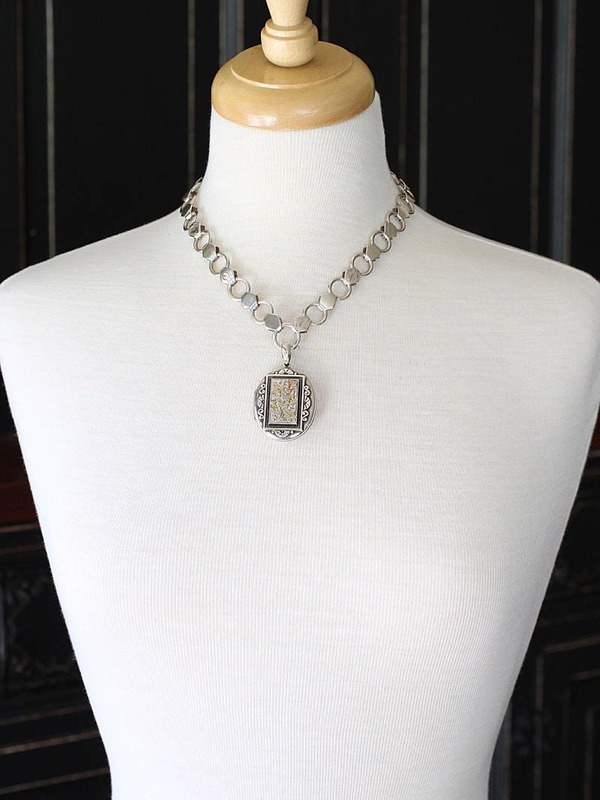 Over 125 years old, this locket was fashioned to grace the neck of an 1800's Victorian lady. 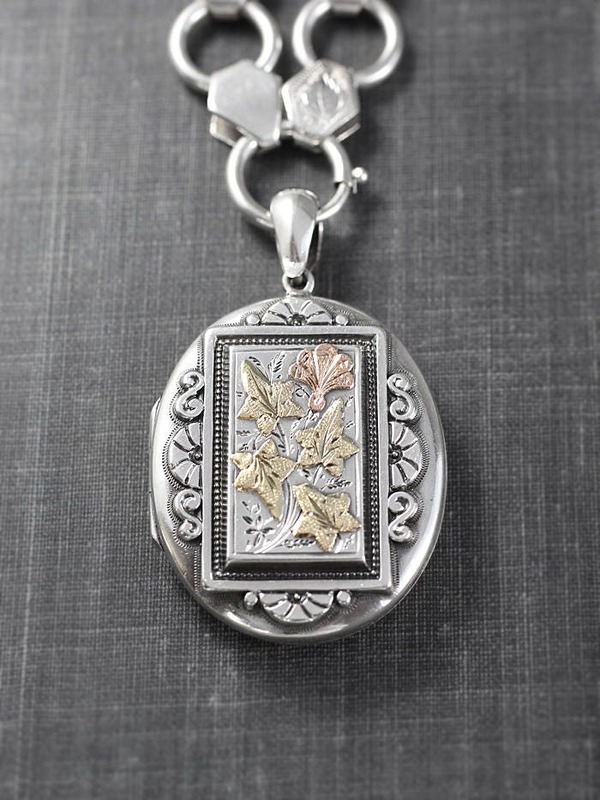 The design features four yellow gold leaves and one rose gold leaf framed in a decorative border. 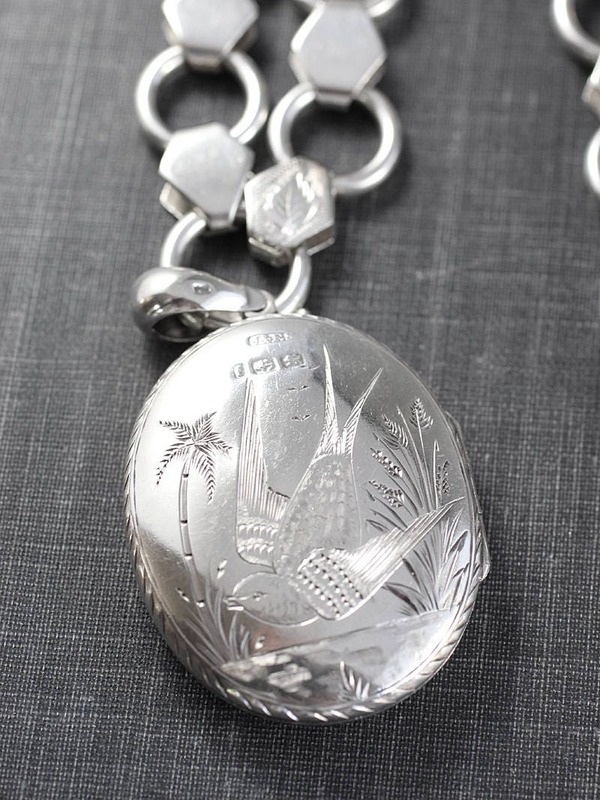 The back of the locket is hand engraved with a flying bird and nature scene. 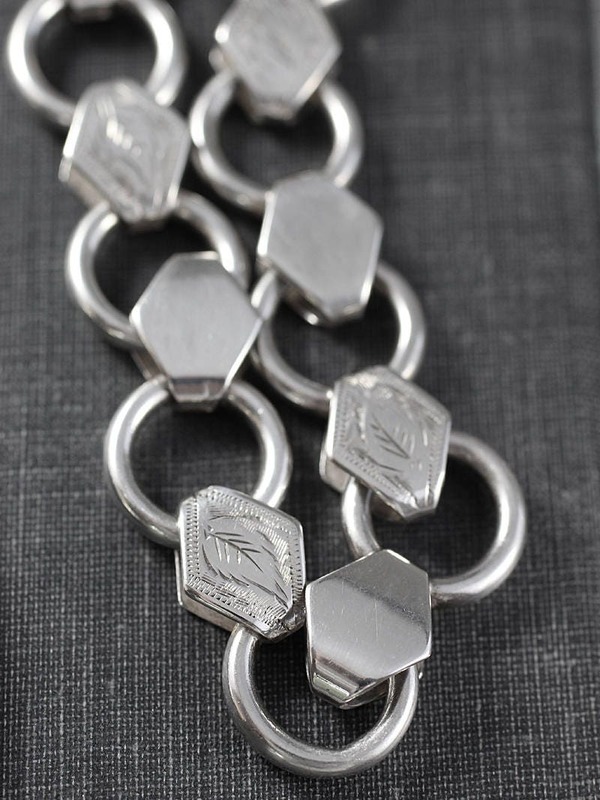 True to genuine antique silver lockets, this locket is hallmarked on the back of the locket, the inside of the front, and on the bail. 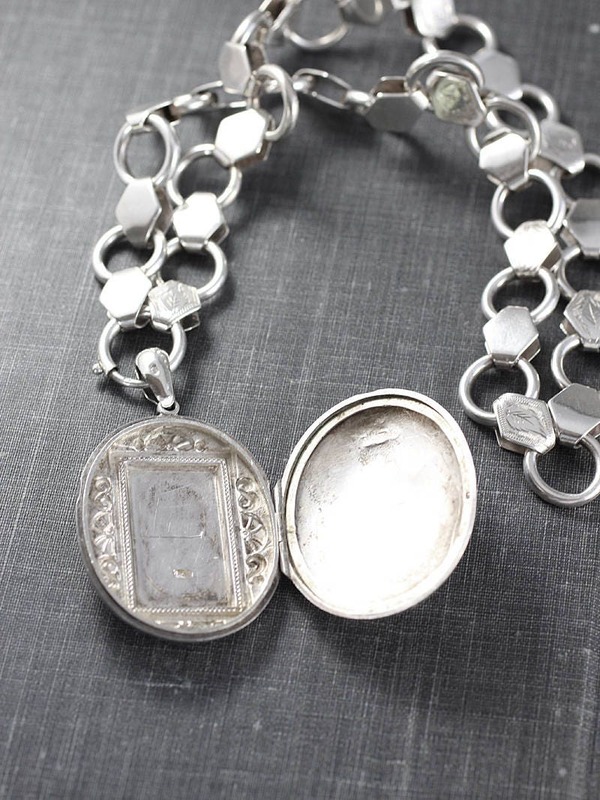 The antique locket opens to reveal two places ready to hold you beloved photographs or a small memento. 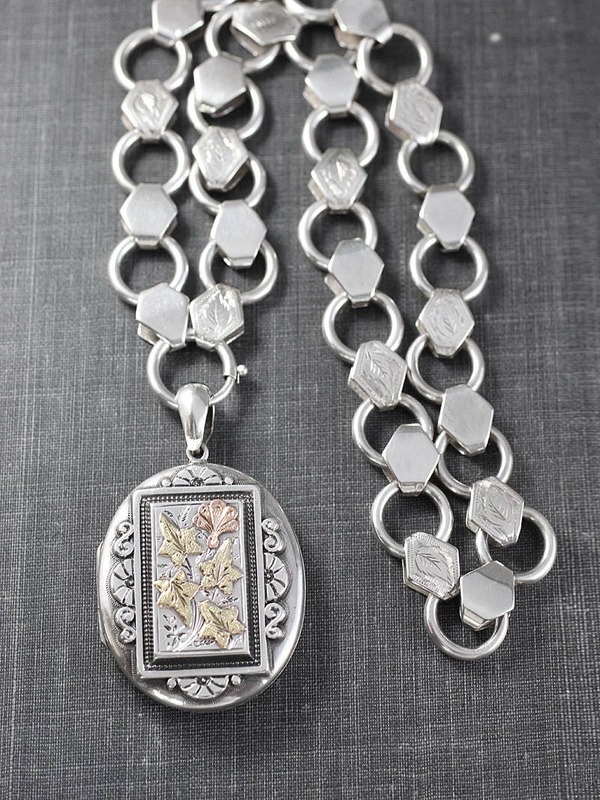 The locket dangles on an amazing antique sterling silver book chain.